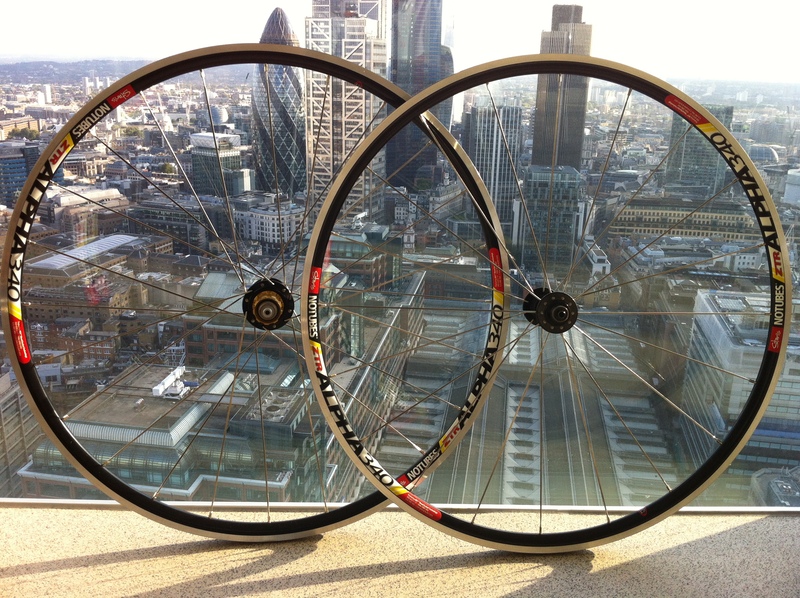 Now after our original foray into building the lightweight Kinlin-Novatec-Sapim wheelset for racing & climbing, it was time to sort out some gram dropping hoops for the up-coming cyclocross season. Things started in the Spring with a visit to the Bespoke Handmade Bicycle Show at the Olympic Velodrome following a conversation with an exhibitor under the business name of Velo-Smith. We informed him of the spec’ of our previous build up and asked what he could put together for sub £300 as that was the budget. 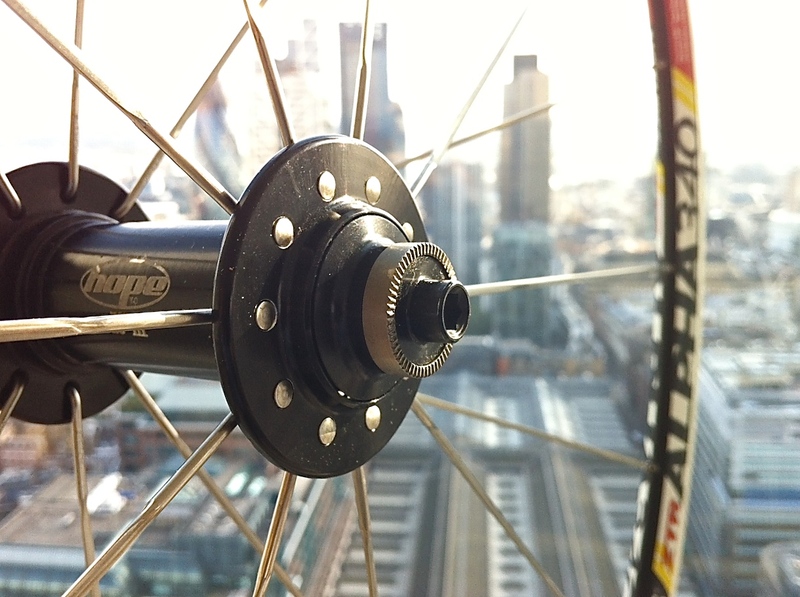 Now as soon as he mentioned the IRD Cadence rims with Novatec Hubs as used in our previous build with Sapim spokes, I knew we were singing from the same hymn sheet as it was a combo that was floating around in the back of my mind. 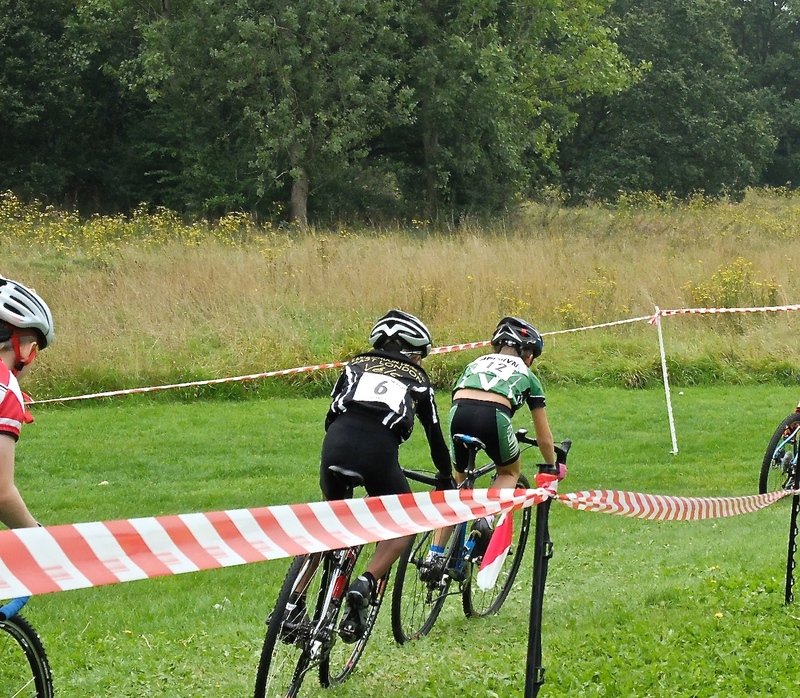 Anyway, I took a card and promised to make a call at some point as we were also impressed that he sponsored and made wheelsets for the Plymouth CX team, and therefore received feedback from racers who were putting his creations through a tough season. Fast forward a few months and surprisingly David Fletcher remembered our conversation (especially that with CJ) and was instantly committed to putting together a package for him. We quickly summed up that the IRD, Novatec A291SB/F482SB with Sapim CX-Rays in a 20/24 hole count as the rider is sub 60lbs would come within budget so an order was placed. Now not every piece of news received is bad and when informed that in order to get CJ ready for the first race he would be willing to replace the hubs with a pair of superior Hope Pro 3 Mono’s in the same hole drilling at his expense, we were more than happy to say “yes please”. But lightning was about to strike twice as an issue in build up with a faulty rim and the distributors being at Eurobike would have David again offering replacement Stans Alpha ZTR 340 rims which were in stock and the answer again was “yes please”. Note – now if funds allowed this would have been a set up to have been considered, but was unfortunately way out of our budget. Now receipt was within a week and the wheels were well boxed and initial inspection of the work was instantly noted as excellent and CJ was not going to be disappointed. The tale of the tape saw the wheels come in at 1430 grams total with Vittoria rim tape, so we were extremely impressed as even for road racing the figures were low (as well as being slightly aero in design). First riding impressions coming from cross wheelsets that were approximately 25% heavier had CJ surprised how fast they spun up from standstill as well as after braking. 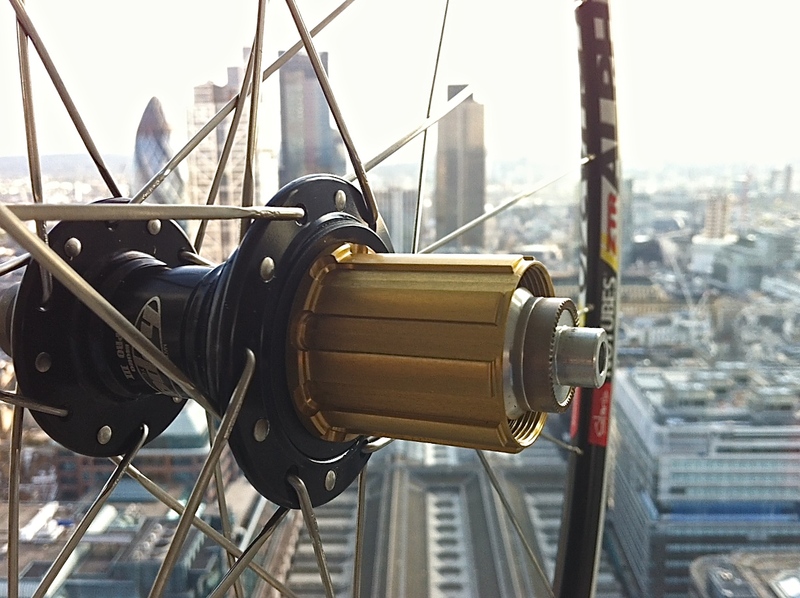 Also, the pawls on the rear hub are quite noisy which he liked as it would let riders know he was in their space within a race. 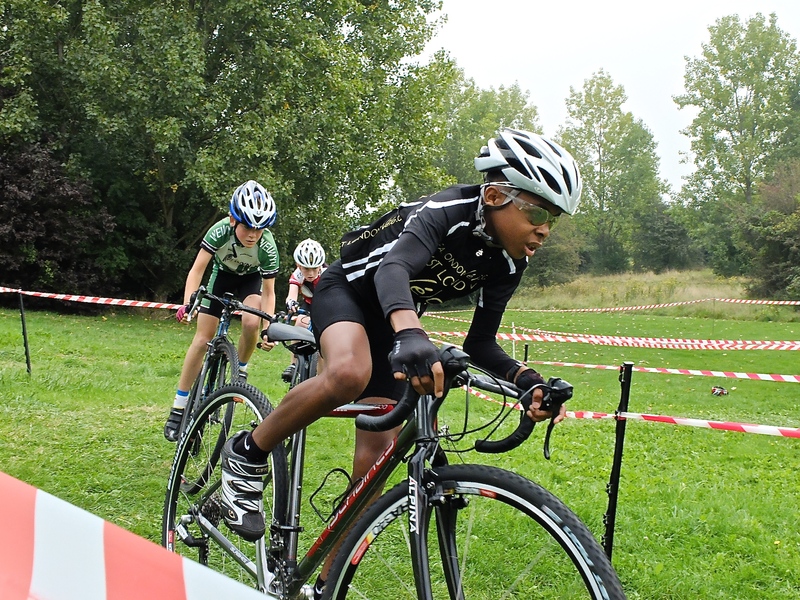 At some point we may make the jump and go tubeless, but for now they were to be shod with butyl tubes and Schwalbe Rocket Ron’s for the first race of the Eastern Cyclo-Cross League in the under 12’s category as he was moving up as a rookie in the age class. Now the wheels stood up to their inaugural race well with him taking a fourth placing and remained completely true and fault free following inspection, but that was no real surprise especially as Hope and Stans have mountain bike backgrounds so can handle the rough stuff and the tensioning of the CX-Rays were spot on. Velo-Smith do bespoke hoops from under £200.00 to infinity and we will be using his professional services again, (and not just because David delivered a cracking set of hoops for less than the cost of the parts alone) plus these came in lighter than a set of Fulcrum Racing 1 (2 way fit) no less.